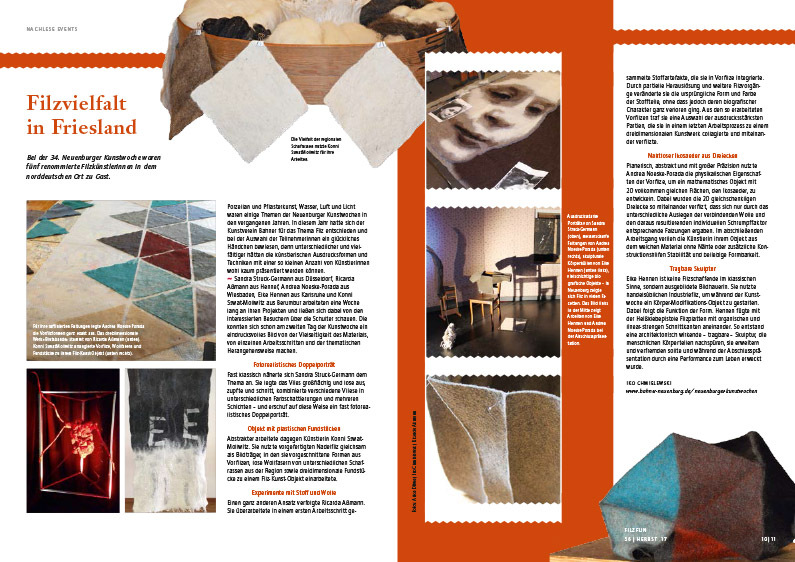 Felt is international – and feltmakers are truly sophisticated. This is amply proven by the fall issue of the filzfun. 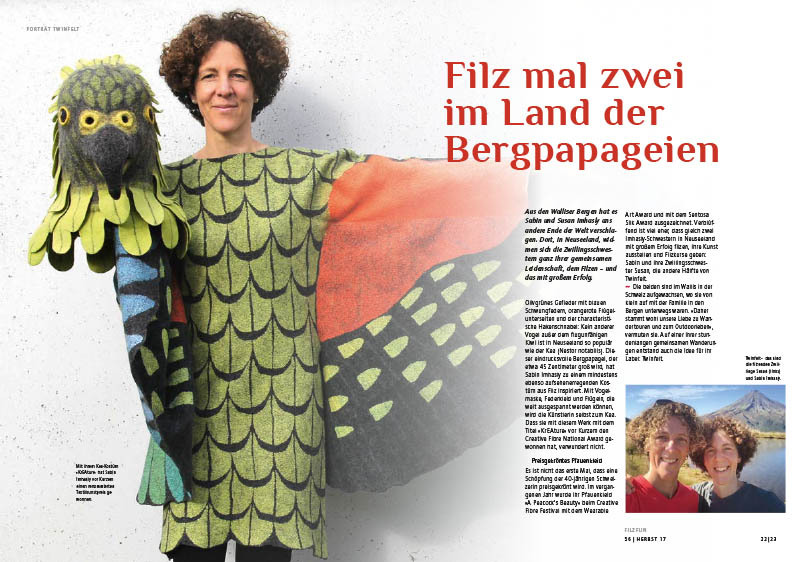 The twins Sabin and Susan Imhasly, for example, have moved from the Swiss region Wallis to New Zealand and are very successful there with their label Twinfelt. 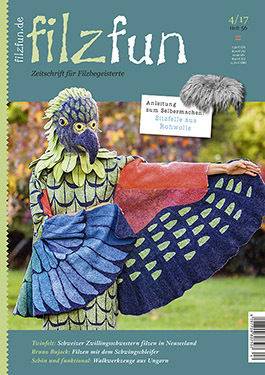 Sabin Imhasly has won a renowned textile art award with her impressive mountain parrot costume »KrEAture« which is on the cover. 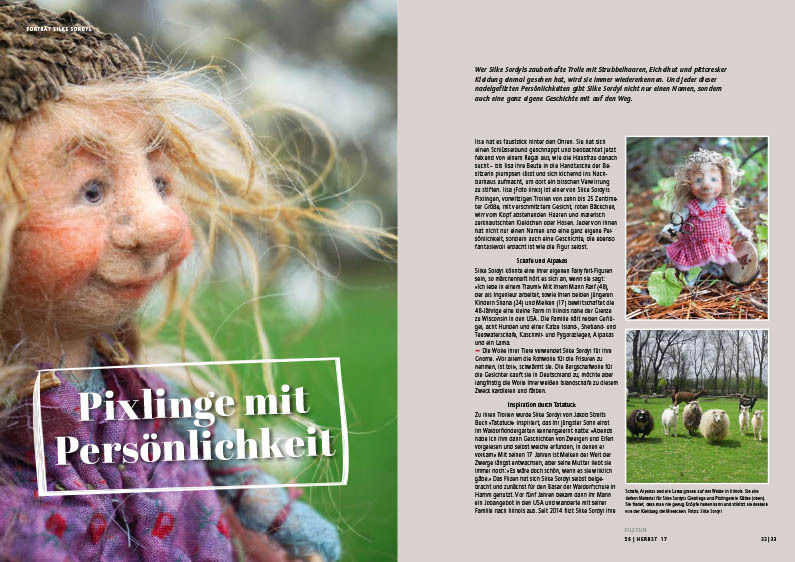 Also Silke Sordyl has moved overseas: With her enchanted trolls she gives joy to people all over the world – on her Fairyfelt page on Facebook alone more than 4000. 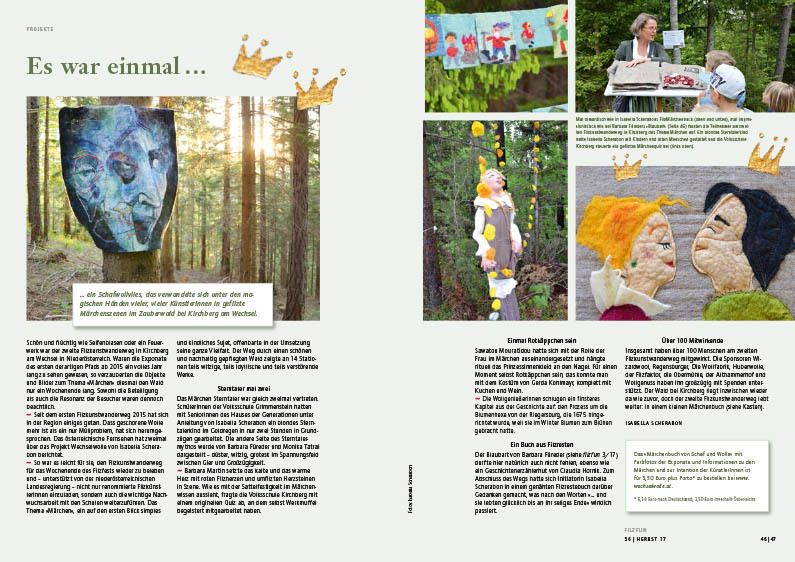 Annemie Koenen from the Netherlands has found her own artistic way during a detour of teaching, as she tells us in this fall issue. 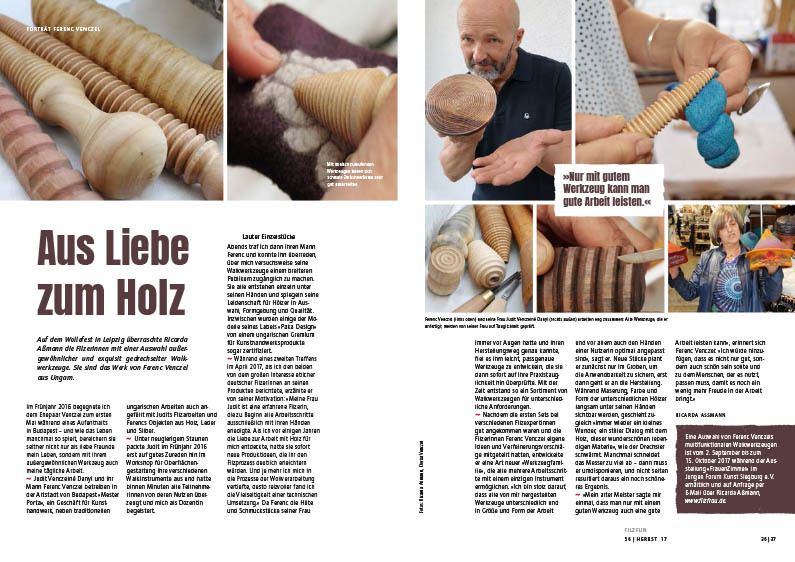 Of course you will be taken to interesting felt and textile art events here and abroad: to the Textile Art Berlin and to the Neuenburger Kunstwoche in Friesland as well as to a feltmakers‘ meeting in the Bregenz wood, to the Filzfest in Lower Austria, to the Feltrosa in Italy and to the European Felt Days at Felletin, France. 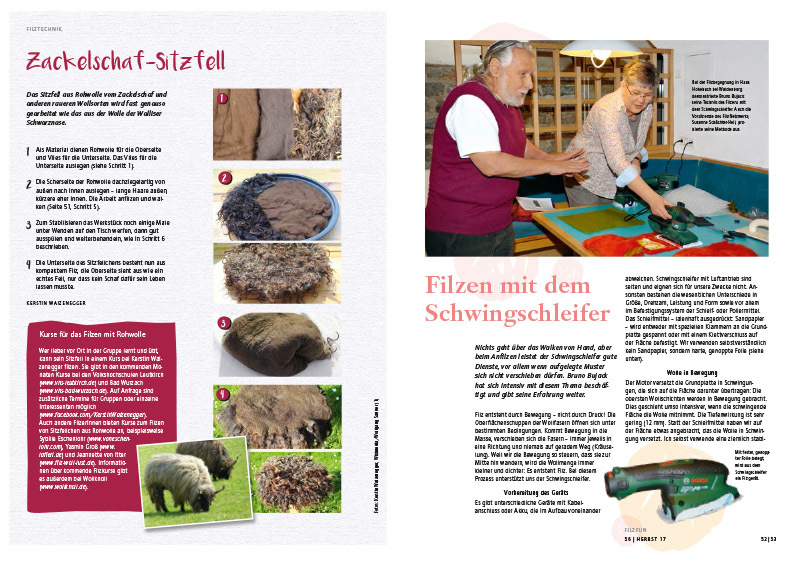 us how to felt a sitting fur made from raw wool, and Gabriele Wall shows by means of a pillowcase how plastic nuno felt can be made with screen printing colors. 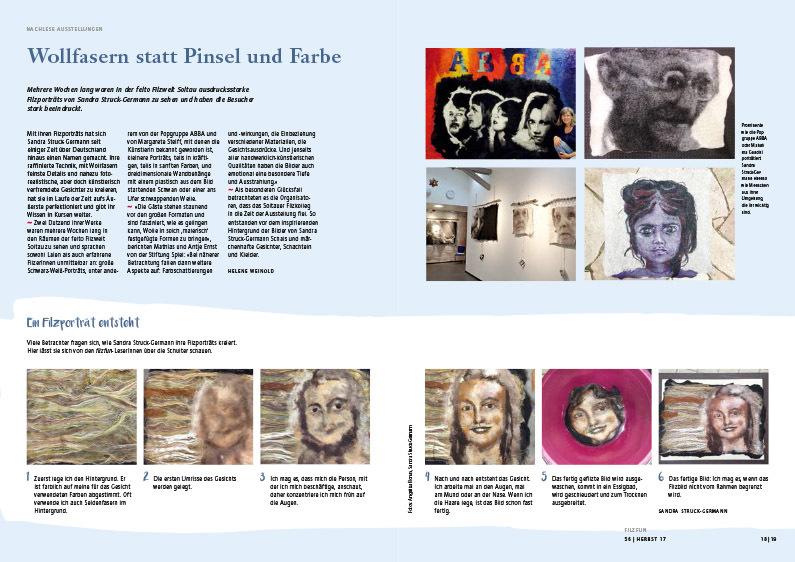 In the fall as well felting offers quite a lot: Please find leads to interesting events on our Spectrum pages and in the preview, but especially in our schedule attachment to the filzfun where we have compiled almost 200 dates around the subjects felt, wool and textile art – just to name a few like the exhibition »FrauenZimmer« n Siegburg, textile markets in Benediktbeuern and Augsburg and an advanced felting education in Austria.